Artpace: Artpace was founded by artist, collector, and businesswoman Linda Pace and opened to the public in 1995. Pace conceived of Artpace as a laboratory of dreams, providing artists from all over the world with an environment that would encourage experimentation and growth. Currently, the non-profit contemporary art gallery provides artist-in-residence experiences for international, state, and local artist. Blue Star Contemporary: Blue Star is the Anchor of San Antonio Art. 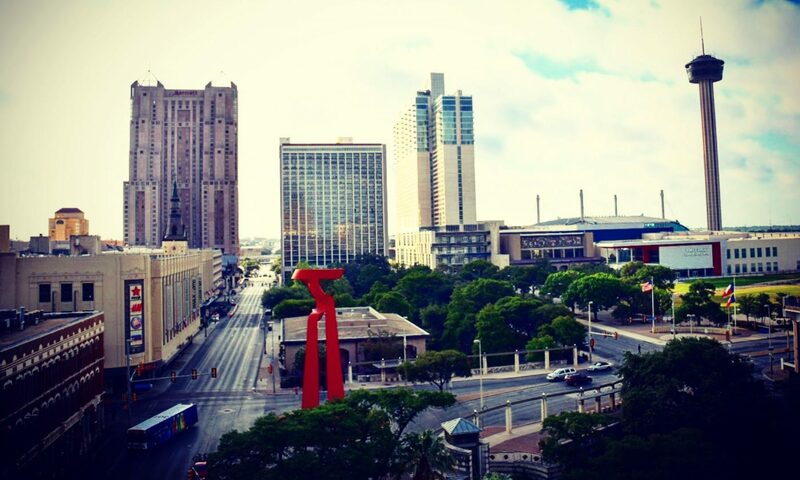 Home to San Antonio’s longest-running contemporary art space, the complex also features a varied collection of arts venues, shops, and studios with ample opportunity to quench your hunger and thirst. Briscoe Western Art Museum: The Briscoe Western Art Museum, named in honor of the late Texas Governor, Dolph Briscoe, Jr. and his wife, Janey, preserves and interprets the art, history, and culture of the American West through engaging exhibitions, educational programs, and public events reflective of the region’s rich traditions and shared heritage. Located on San Antonio’s famed River Walk, the institution is housed in San Antonio’s first Public Library and newly constructed pavilion designed by the nationally recognized architecture firm Lake|Flato. DoSeum: The DoSeum opened on June 6, 2015, and became a place where children are inspired to use their inner creativity and curiosity to learn through play. The majority of the exhibits at The DoSeum boast a science, technology, and mathematics (STEM) focus, which we integrate with literacy and creative art concepts. The museum often holds themed ReDo Recess events for those 21 and older. These events include live music, delicious food, specialized adult beverages, and a place to unleash your inner child. UTSA Institute of Texan Cultures: The museum opened as the Texas State Exhibits Pavilion, which was built for the 1968 HemisFair celebration. Today, the museum pursues a mandate a component of the state’s center for multicultural education by investigating the ethnic and cultural history of the state and presenting the resulting information with a variety of offerings. The Institute of Texan Cultures provides an opportunity for museum-goers to learn the stories of immigrants from around the globe who settled in Texas and contributed to what is to the 15th largest economy in the world. McNay Art Museum: The McNay Art Museum is a modern art museum in San Antonio specializes in 19th- and 20th-century European and American art. Since Marion McNay’s original bequest in 1950, the museum’s collection has expanded to over 20,000 works including Medieval, Renaissance art, 19th- through 21st- century European and American paintings, sculptures, photographs, one of the finest collections of prints and drawings in the Southwest, the exceptional Tobin Collection of Theatre Arts, Jeanne and Irving Mathews Collection of Art Glass, and Art of New Mexico. San Antonio Missions National Historical Park: The San Antonio Missions tell the stories of the people who came into the Spanish missions to live in the 1700s. Acculturating and converting the indigenous population in order to become Spanish citizens reverberates today in the southwest United States. The four southernmost Spanish colonial missions—Concepción, San José, San Juan and Espada—are included in the San Antonio Missions National Historical Park, which officially opened in 1983. You can explore the Missions along the River Walk’s new Mission Reach, an eight-mile stretch with recreational trails, picnic and seating areas, pedestrian bridges, pavilions and portals to the four Spanish colonial missions. San Antonio Botanical Gardens: The San Antonio Botanical Garden is a 38-acre, non-profit botanical garden in San Antonio, Texas, United States, and the city’s official botanical garden. Visitors and Texas natives alike will enjoy the Texas Native Trail that showcases the diverse regions that make up the second largest state of the United States. The garden includes the carriage house bistro and hosts events regularly, such as the annual Brews and Blooms. San Antonio Museum of Art: The San Antonio Museum Association was chartered in 1925. In 1981, after a $7.2 million renovation and conversion of the historic Lone Star Brewery complex the San Antonio Museum of Art was opened to the public in its current location. The Museum houses the largest and most comprehensive collection of ancient Egyptian, Greek, and Roman, as well as Asian, art in the southern United States. The Museum also has a significant collection of Latin American art, from Pre-Columbian times to the present, showcased in the Nelson A. Rockefeller Center for Latin American Art. Our growing contemporary art collection balances some true masterpieces with notable Texas and regional art. The museum hosts an Art Party every second Friday of the month. The monthly art parties include live music, gallery tours inspired by the Museum’s Collection, specialty cocktails and art making! The Southwest School of Art: The Southwest School of Art is a nationally-recognized leader in arts education, currently offering studio programs for more than 4,000 adults, children and teens annually on its campus. The school also organizes contemporary art exhibitions and houses a small history museum, and a lunch café. Located on two adjacent campuses, the school’s Ursuline Campus is the former home of the Ursuline Convent & Academy, originally founded in 1851 as the first school for girls in San Antonio. On this campus are the school’s extensive ceramics and fibers studios, its Young Artist Programs area, the tranquil gardens, arching trees and historic buildings that make the school San Antonio’s favorite “downtown oasis.” The John L. Santikos Building is the site of the school’s contemporary exhibition galleries and its high-tech classrooms and studios for photography, metals, printmaking, digital imaging, paper and book arts, as well as drawing and painting and 3-D media. Witte Museum: San Antonio businessman Alfred W. Witte died September 22, 1925, leaving $65,000 to fund a museum in Brackenridge Park. The Wittie Museum is dedicated to natural history, science, and South Texas heritage. The permanent collection features historic artifacts and photographs, Texas art, textiles, the world-renowned Hertzberg Circus Collection, dinosaur bones, cave drawings, Texas wildlife dioramas and the four-story H-E-B Science Treehouse, in addition to nationally acclaimed traveling exhibits. The museum often hosts Cocktails and Culture an after-hours, in an evening exclusively for adults (21 and older) that mixes cocktails, conversation, and innovative museum culture. Sunday Jazz is held once a month and is a relaxing afternoon listening to jazz under the pecan trees of the Will Smith Amphitheater.